If you’re just starting out as an investor, or don’t have the time to setup and follow a trading strategy, social trading (also called copy trading) can be a great option. This article will explain how you can follow carefully chosen traders on the world’s leading social trading platform (eToro) and earn 10% or more on your account without having to enter a single trade. eToro is the world’s best known social trading platform, it has millions of registered users all over the world. A fintech startup launched in 2007, eToro began as an FX trading platform. From day one, it offered its customers a uniquely simple, clear and straightforward interface. To this day, it remains one of the clearest and most intuitive platforms for traders, an ideal starting point for new traders who are taken back by other complex and cluttered trading interfaces. The platform is web-based, it also offers an Android or iOS app to trade from your smartphone or tablet. Where is eToro available ? eToro serves customers in the UK (via an FCA regulated entity), Australia, and since very recently in the US with the launch of its US cryptocurrency platform. All other customers are served by a cypriot entity. Here is more detail on how eToro is regulated in each territory. In 2010, eToro launched the CopyTraderTM feature via OpenBook, their social trading platform. CopyTraderTM is a functionality by which users can simply copy the best traders on the platform with a few clicks. The feature was immediately successful, I’ll explain in a minute how you can find and copy the best traders. I’ll provide you with the ten filter presets that will lead you to the very best eToro traders. 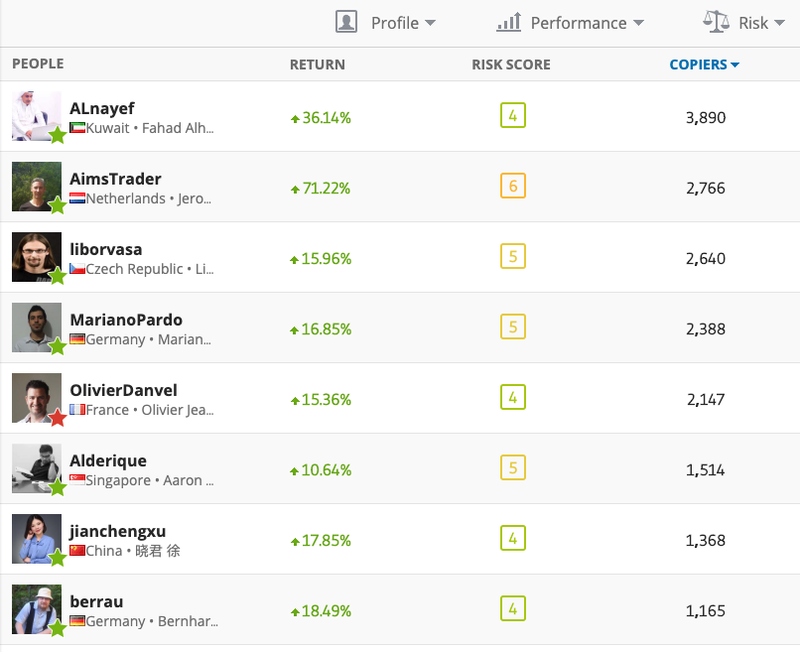 EToro then launched CopyPortfoliosTM, a feature enabling you to have more of a long term strategy by buying into portfolios that aggregate Top Traders and other assets under a predefined market strategy. This feature is powered by Machine Learning. eToro offers a wide range of products to trade, sometimes via CFDs (Contracts for Difference) due to regulatory constraints, such as in Australia. CFDs are tradable products that enable you to trade and invest in an asset by engaging in a contract between you and the broker, instead of opening a position directly on the given market. For example, you will trade an AAPL CFD instead of the Apple stock itself. In essence, you and the broker agree to replicate market conditions and settle the difference amongst yourselves when the position closes. CFD trading offers many advantages that don’t exist with direct trading, such as access to foreign markets, leveraged trading or short positions (SELLER) on assets which traditionally do not offer that possibility.. I have an article that goes deeper into CFD Trading if you’re interested. If you need to educate yourself, eToro also has an online Trading Academy offering Live Webinars, eCourses and Trading Videos. Step 2: Verify your account. This is a regulatory requirement. In order to do that, eToro will ask you to provide some identification documents (such as passport & utility bill). That will lift all limitations on your account. If you prefer to start with a Demo account, eToro can provide you with a $100,000 demo account free. That can be a great way to try your hand at the markets with zero risk. 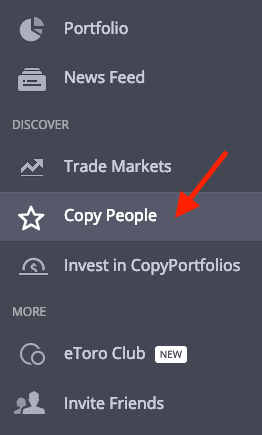 Now that you’ve opened and funded your account, time to find and copy the best eToro traders. With Copy Trading, you decide to allocate a share of your portfolio that will exactly replicate the trades and performance of another trader. When that trader executes a trade and makes money, your account will execute the same trade (prorata the sum you have allocated) and have the same performance. You remain the full owner of your account and of any sums allocated to Copy Trading, these sums will just be invested along a strategy defined by another trader. The great thing with Copy Trading is that you do not need to take any decision. You automatically benefit from the skills of another trader. You do not need to know anything about trading or investing, although I do recommend that you get educated in order to understand how markets work and what are the risks associated. If you’re just getting started, you can check out this article on 20 ways to learn Stock Trading. How to select the best traders to copy? eToro allows you to browse through the profiles of hundreds of thousands of traders, so finding the best can be a bit tricky. You need to use eToro’s search and filtering functionality. In the left menu bar, click “Copy People”. The first thing you’ll see are the most popular eToro traders. You can decide to stop there, and select a trader whose profile and performance you find attractive. I recommend you to take it one step further and refine the search criterias by using the advanced filtering functionality. Here are my filter presets. Here’s how you should proceed. First, click on the filter “Advanced Search” symbol. Time period: last 12 months. The criterias we will set have to be verified over a sufficiently long time horizon. One year is good. Name and picture: select Profile picture. It’s always nice to see who you’re going to trust. Country: Everywhere. No geographic restriction. Return: >10%. This is the traders performance, we want it to be above 10% per year. Use the custom field, enter 10% in the left box and Maximum in the right box. Profitable trades: >40%. The traders you will decide to copy make money on 40% of their trades at least. Use the two custom boxes as for Return. Risk score: <6. eToro has a very useful measure of each traders’ risk level. I recommend going below 5 to filter out the big risk takers. Weekly drawdown: <15%. This filter eliminates traders whose account has historically dropped by more than 15% on any given week. A very qualitative criteria. Average Trade Size: Max 5%. We want traders that don’t go all in on their portfolio with a single trade, money management is key. Well it’s easy as that. 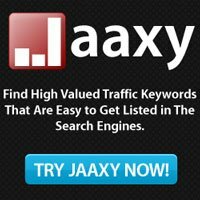 You have a list of highly qualitative traders. Scroll through the list and pick a trader you would like to copy. Just click on the trader’s profile, then select “COPY” on the top right corner. Finally just decide what sum of money you dedicate to following this trader. I recommend starting small, just to test the water for a period of time, and build up as you go. Choosing the traders that have the highest performance in recent months isn’t a good idea. Instead, our selection criterias will filter only those that have been consistent over a longer time period. Here’s a selection of three very consistent traders that you could decide to follow. Watch their track records. To copy them, just click on their names above and then hit the Copy button. CopyTrading can be a very easy way to put your money at work without the hassle of learning to trade. If you’re careful in your selection, eToro can provide you with top notch traders that you can follow with a few clicks of the mouse. Like they say, however, never forget that past performance does not predict future results, but with eToro you can get started with just a few dollars, or even a Demo Account. So you could get going with very limited risk. Do you have any experience with Social Trading ? If so, you might have some useful tips to share, or maybe even top traders you recommend. Shoot us a comment below.